The GPS or Global Position System is one of the key features supported by high-tiered smartphones including Apple’s new iPhone 7 and iPhone Plus. With GPS, you can use your iPhone for navigation purposes like getting directions to a special event, finding a lost iDevice, play games involving maps like Pokemon GO, or allow location access to your favorite apps for them to carry out primary tasks. 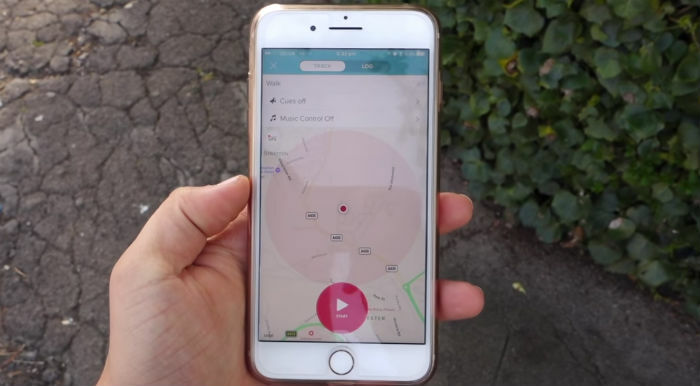 On your iPhone, GPS is a key requisite for location services to work. But just like other mobile apps and services, the iPhone 7 Plus GPS feature can also get flaky sometimes and fails to work as intended. As a result, you are getting errors in determining the exact location, obtain falls directions, thus, making simple routes to become a lot more complicated. Several iPhone 7 Plus users have been raising pertinent complaints about the iPhone’s GPS, which purportedly seemed erratic. Among the GPS issues that have been raised would include the blue dot in Maps, Pokemon Go, and other apps using GPS app that is jumping around the subject’s current location or doesn’t get locked on the actual GPS location. Other users were also having trouble using Waze as they’re randomly prompted with “No GPS…” error when using Google or Apple Maps. Some people thought that this is a bug that lurks in the iOS 10 while others believed that this is a software or antenna issue. What could have possibly caused these problems to occur on the iPhone 7 Plus GPS and what workarounds to try on to troubleshoot and resolve the underlying cause? These are the main questions that this post will try to address. Read on to get more help. What is GPS and how does it work on your iPhone 7 Plus? Just like other GPS devices, your new iPhone also integrates a GPS chip that works in conjunction with cell phone towers and Wi-Fi networks, also known as assisted GPS, to quickly calculate and determine the phone’s position. In order to use navigation services or map apps, you will need to enable GPS on your iPhone beforehand. GPS is a satellite navigation system that is used to determine the ground position of a certain object . In order to determine the exact position, a GPS receiver combines three to four GPS satellite broadcasts. A GPS receiver used a triangulation or trilateration process that involves at least three satellite broadcasts including the satellite’s current position, orbit, and actual time. Broadcasts from multiple satellites are combined to calculate its exact position or location based on the GPS satellite broadcasts. Typically, the GPS receiver will get broadcasts from three available satellites while others utilize four for more accurate results. The iPhone is designed with a number of complementary technologies that work along with the GPS chip to master the actual location of the phone. Among these components include the gyroscope and accelerometer, compass, barometer, motion coprocessor, and Wi-Fi tracking. This means that if the something goes wrong with the iPhone’s GPS function or GPS chip, any of these services will likewise get affected. What causes the iPhone 7 Plus GPS service to become erratic and not working properly? Several factors can affect the iPhone’s GPS function. Among the most common are app glitches, faulty updates, poor or no signal, app restrictions, and hardware damage on the iPhone affecting the GPS chip or network antenna. Software updates (for apps or iOS) do not only contain enhanced features but also some bugs that can cause other existing apps or services including GPS to become erratic when used on the iPhone 7 Plus. This is most likely the culprit especially if the first symptom instigate right after installing an update to either app or iOS itself. Sometimes, you need to configure something on your device after an update installation or simply do a reboot to rectify the glitch. Signal issues can also cause the GPS to fail or show errors. A strong and stable network connection is among the key requisites for navigation apps to work properly in mobile devices. Expect that these apps won’t be able to carry out their respective tasks if they can’t get a signal from the network. This is likewise the reason as to why GPS doesn’t work well when you’re inside a building, or in some place with possible obstructions. The line-of-sight from cell towers might be barred by tall buildings, walls or mountains. GPS signals may not be able to penetrate buildings, deep woods and canyons. Apps restrictions like limiting or denying an app to access your current location is also one of the possible reasons as to why GPS won’t work as intended on your device. Some users would prefer to disable all location services on the iPhone to save battery as well as privacy or security reasons. Relevant apps usually have an option for your to enable “Share My Location” or not. As you would prefer, you can set each app to Never, While Using or Always. This is one way to control which apps can use your location data and how. In worst cases, the GPS may have failed to work on the iPhone 7 Plus especially if hardware damage is present on the device. For example, when some relevant components like the antenna has developed liquid or physical damage and is no longer functional. This can be the underlying cause especially if there were previous instances of dropping or liquid exposure on the iPhone. Usually in this case, a technician’s aid might already be necessary for hardware damaged iPhone causing GPS malfunctions to get fixed. How to fix GPS problems on your iPhone 7 Plus? For GPS problems and errors that are software-related, there are some ways for you to deal with the symptoms and fix the problem on your end without having to take a trip to a service center. You can try any of the subsequent workarounds and generic solutions to GPS issues transpiring on your iPhone 7 Plus. Be sure to test your device after completing each workaround to see if it has fixed the problem. Verify and ensure that GPS is turned on or enabled on your device. To connect to GPS on your iPhone 7 Plus, go to Settings-> Privacy-> Location Services and then toggle the switch to enable the feature. You can also toggle the switch next to individual apps to enable or disable location services for that specific app. Reboot your iPhone. A simple restart is deemed an effective solution to various mobile device issues that are software-related. The symptom might not be remove in the first try, thus give it at least three restart attempts and then see what happens. Stay away from tall buildings or stay outdoors when attempting to use navigation or map apps. Make sure that your iPhone gets a good signal. A clear line of sight to your network is necessary for GPS to work in any of your apps. Keep your iPhone iOS updated. There are times when all your iPhone needs is an update for GPS services to work as intended. Check Apple Support’s system status for possible outages affecting GPS services. To do so, navigate to the Apple Support official website (https://www.apple.com/support/systemstatus/). Verify and ensure that your iPhone 7 Plus is connected to the Internet or has no problem with data connection. You can try to a open the browser and navigate to a website to check. Check for any updates on your map apps, and install them. To do so, you can head over to the App Store on your iPhone and check for any update available for the app. After installing the update, restart your iPhone and then test the GPS again to see if it is already working properly. If not, then try these next possible solutions. As the head describes, the following methods are only deemed generic solutions and workarounds to deal with various types of problems affecting the iPhone’s GPS functions. This denotes that any of these methods may or may not yield positive results. But then again, it won’t hurt to give them a try before escalating the problem to Apple Support. First Solution: Verify apps location permission. Some apps may require you to manually enable location services for them to be able to use with GPS. Maps app or other third-party navigation apps won’t be able to determine your location if you don’t grant location permissions for these apps. To check, you can head over to Settings-> Privacy-> Location Services and make sure it’s turned on. When you get to the Location Services menu, locate the app you want to grant permission to location services. Typically, there are three options for you to select including Never, While using the app and Always. When you choose Never, the app won’t be able to see your current location. Choosing “While using the app” option allows the app to see your location only when the app is open or running. To let the app see your current location even when the app is closed, the right option to choose is Always. There are also some apps that always require access to your location for them to work properly. Airplane mode has to be disabled or turned off for GPS services to work on your iPhone. But for some reasons, other iPhone users who have encountered similar issues when using navigational apps were able to rectify the glitch by toggling airplane mode on and then off. If you want to give it a try, go to the Control Center and toggle the Airplane mode icon on and off. Alternatively, you can head over to Settings-> Airplane Mode and then toggle the switch to turn the feature on and off. Doing so will enable wireless radios and then disable them again on your device. Third Solution: Reset Location & Privacy settings on your iPhone 7 Plus. A network reset might be necessary especially if something went wrong with the iPhone’s GPS functions after making some changes to the network or location and privacy settings on the device. To do so, head over to Settings-> General-> Reset-> Reset Network Settings-> Reset Location & Privacy. If prompted to enter a passcode, just enter the correct passcode for your device to proceed with the reset. Once the reset is complete, reboot your iPhone. After the reboot, you will need to reconnect to your Wi-Fi network manually and then reconfigure network settings on your device. Fourth Solution: Restore and setup your iPhone 7 Plus as new with iTunes. If none of the aforementioned methods is able to fix the GPS on your iPhone, then your next option is iOS restore and then set up your iPhone as new via iTunes. Doing so will help you remove any problematic settings or erroneous customizations and give your iPhone a fresh start. Turn off Find My iPhone on your iPhone 7 Plus by going to Settings->iCloud. Open iTunes on your Mac or Windows computer. Be sure to use an updated version of iTunes. Connect your iPhone 7 Plus to the computer using the supplied USB cable. If prompted to enter a passcode, do so or select the option to Trust This Computer and follow the onscreen instructions to continue. Select your iPhone from the list of available devices in iTunes. Click Restore [your device name]. To confirm action, click Restore again. Doing so will prompt iTunes to start erasing your device and install the latest iOS version. After the iPhone restores to factory settings, it will restart. At this point, you can set it up as new. If you’ve done all these but to no avail, then you should already consider escalating the problem to Apple Support for further assistance and recommendations. Or should you suspect that a faulty hardware is causing your iPhone 7 Plus GPS to fail or malfunction, you can just take your device straight to an authorized service center for further assessment and/or repair.